It is very important to choose the right working space no matter how small or large your business is. But finding the place that meets all your needs is very difficult. There are several things to consider like the location, space, lease, cost of seating etc. when it comes to relocating to a new office space. The best thing to do is to have a checklist of all the necessary parameters that are included in moving your office. The first and foremost thing to consider is the location of your new office. The place should be feasible for your team, employees, and clients. Modern office space consists of a location close to greenery, public transport, foods and amenities, and ample parking. But it is also important to have your offices nearby to your competitors and partners. Another important thing to choose while relocating your office is having a proper design. The building design and the environment inside is very much considered as we are always influenced by the energies in our surroundings. One must consider the visual appeal and functionality when it comes to design the office space. The location must be a place for only business but should also provide employees a homely feeling. The partners and clients must find the place professional. Commercial office spaces offer so many facilities depending on your business needs. Facilities include things like public Wi-Fi, shared conference rooms, garden area, cafes etc. Some buildings offer gym area, housekeeping, and fitness classes as well to their tenants. One must check all the areas and then decide on moving. You must find an office space where you can have room to grow. Who knows what is in the future but it is always smart to have space where there can be room for you when you begin to grow bigger. It is often one of the most important factors to consider. Because if there is no space when you begin to expand then you will have to be on the move again which can disrupt your work and cost you more money. It is always advisable that when you go out searching for an office space then look for a flexible landlord. They help you with your innovative ideas and provide better services to you for your office space. The best landlords are aware that they are not into the business of real estate but are working to provide the best office spaces and environments. Once you have decided the office space you can hire a moving company and plan your move efficiently. Moving companies Calgary provide the best office and commercial moving services. They have reliable professionals and they are licensed and bonded. You can choose a moving day in an offseason or apart from the weekend to save yourself some money. 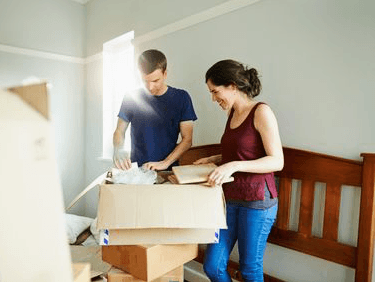 With the help of Movers Calgary, you can also move your stuff partially, department by department and can make your move easier and more efficient.